The researchers have developed a self-powered photodetector by coupling the silicone-based polymer polydimethylsiloxane (PDMS) as a TENG with a material called organometallic halide perovskite¹. The lead-halide-based material features optoelectronic properties that are desirable in solar cells and light-emitting diodes. 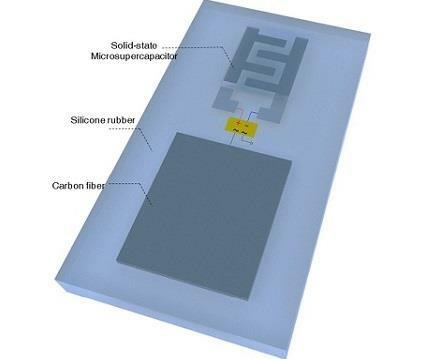 “The self-powered device showed excellent responsiveness to incident light, especially when exposed to light of low intensity”, says Mark Leung, the lead author of the photodetector study. Because of its flexible and transparent polymer components, it also retained its performance after being bent 1,000 times and regardless of the orientation of the incident light.